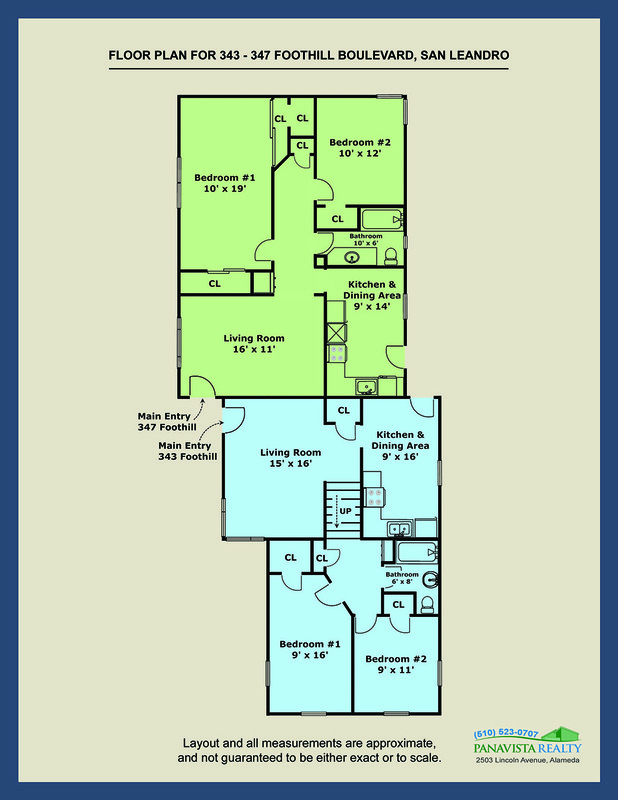 To download the 2-page Brochure with Floor Plan,…………….. click here. 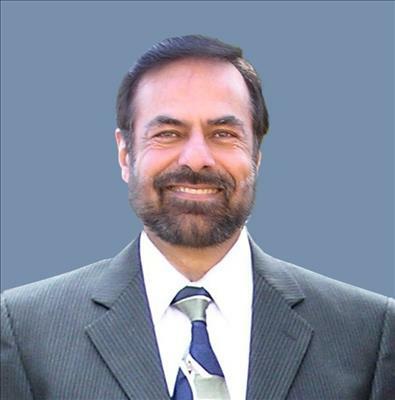 For some local Market Trends and Market Attributes, scroll down. 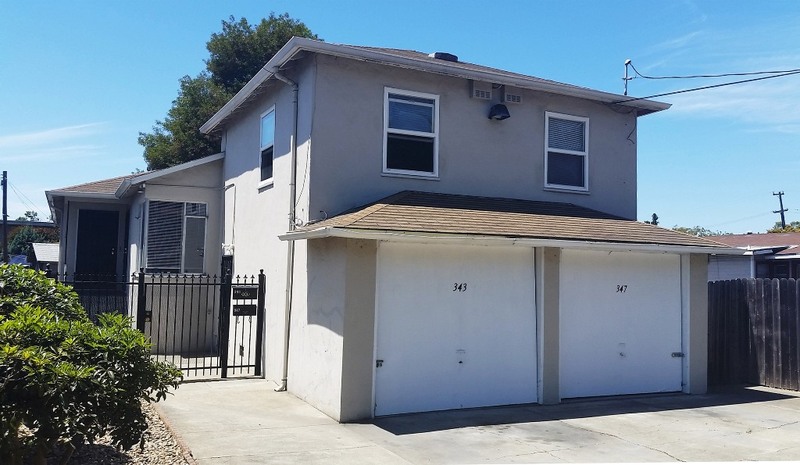 Built in 1952, this San Leandro Duplex is located on a good-sized lot on Foothill Boulevard with convenient access to I-580 freeway. The approximately 4,362 square foot lot is almost 112’ deep, and has an approximately 41’ street frontage on Foothill Boulevard. 343-347 Foothill Boulevard has lots of potential and features a 2-story, split-level, 2-bedroom, 1-bathroom unit in the front, and a single-level, 2-bedroom, 1-bath unit in the rear. Each unit also has a living room, a good-sized kitchen and dining area combo, its own gas, electric and water meter, water heater, and its own private laundry room with 220v. 2-car garage. While 343-347 Foothill Boulevard provides an excellent opportunity for an extended family that desires close proximity but separate and private living spaces, it also provides the optionality for the new owner to live in one of the units and rent out the other for income. 343-347 Foothill Boulevard can be both a gem of a home and a gem of an investment at the same time! Close proximity to San Leandro BART Station, AC Transit busline, San Leandro Hospital, schools, and local amenities on Foothill Boulevard and MacArthur Boulevard. Approximately 1,710 sq.ft. living area on an approximately 4,362 sq.ft. lot. 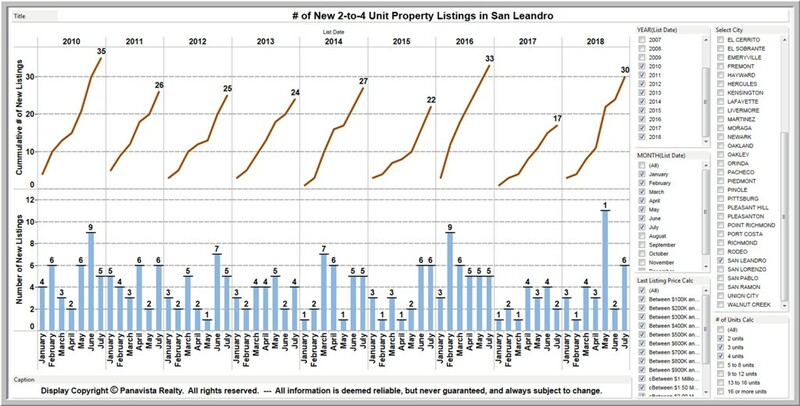 The top section of the chart below displays the aggregate number of New 2-to-4 Unit Property listings that have come on the market in San Leandro during the first 7 months of each year from 2010 to 2018, while the lower section displays the number of such listings during each month. 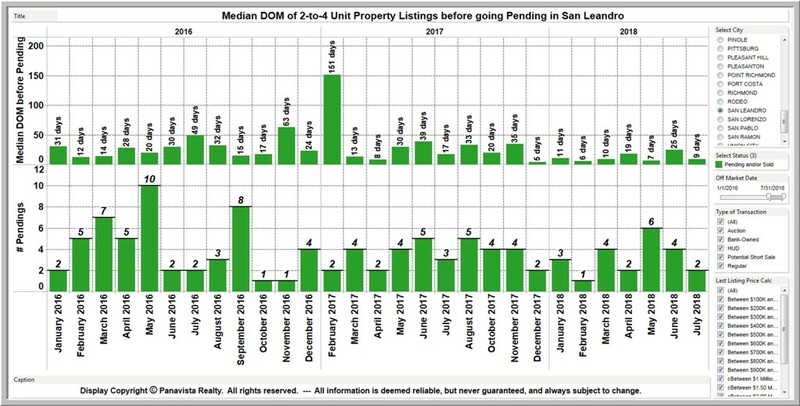 The top section of the chart below displays the median number of days the 2-to-4 Unit Property Listings have stayed on the market before going “pending” in San Leandro, while the bottom section displays the number of such listings that went pending during each month. 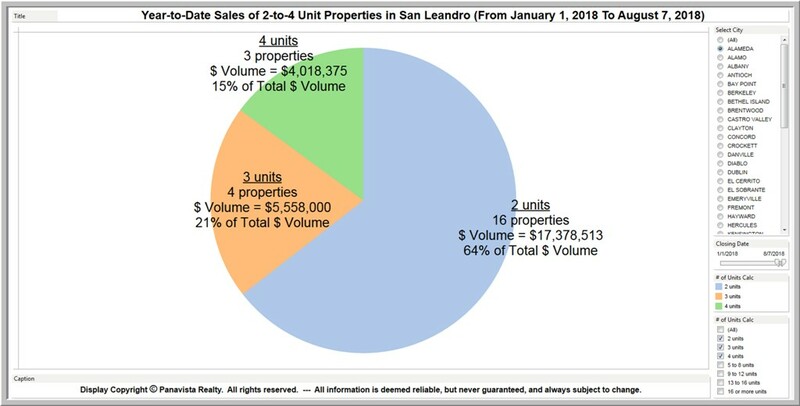 The pie chart below indicates that Duplexes represent approximately 64% of the $volume of 2-to-4 Unit Property sales in San Leandro since the start of 2018. Triplexes and Fourplexes make up 21% and 15% of the $volume respectively. The pie chart below displays the size of the 2-to-4 Unit Property market in each of the cities/towns across the East Bay over the first 7 months of 2018. 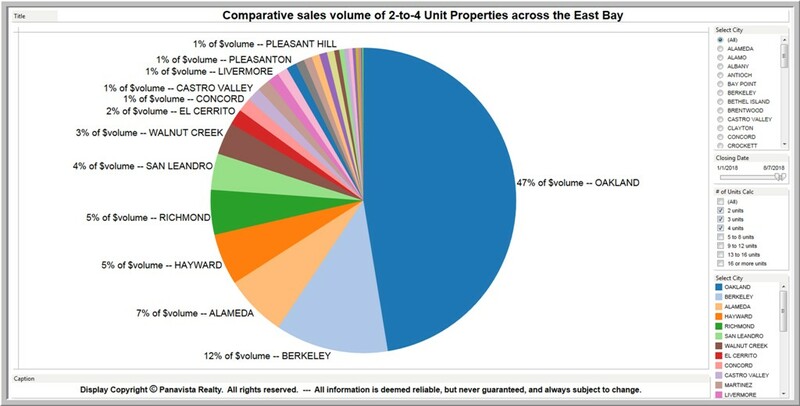 Note that San Leandro amounts to 4% of the East Bay market based on $volume of this market segment.